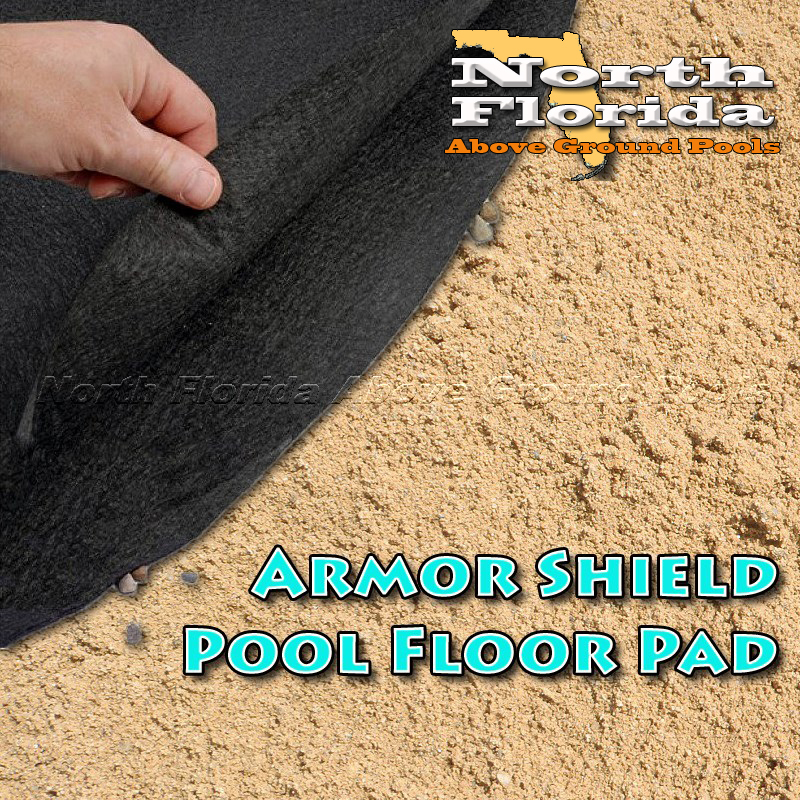 Armor Shield pool floor pad provides a protective layer between the vinyl swimming pool liner and the ground. Highly recommended for any North Florida above ground pool or liner installations. Because the soils of Jacksonville and North Florida can be soft and sandy, it very common and easy for moles and beetles to burrow under above ground pools. These type of pools are often like magnets for critters, they like tree roots come here because of the moisture and insects to eat. Armor Shield will keep unwanted rodents, roots, rocks, sharp objects and even glass from puncturing your new pool liner. This Polypropylene Geo-textile material is extremely tough and nearly indestructible. Better yet it’s breathable, does not trap moisture and will not contribute to pool corrosion. Pre-cut to shape and pool size, no cutting or taping is needed. It’s ready to use right out of the box. Great added insurance for your pool liner investment. Combine with nutgrass killer for the ultimate in pool liner protection. Nothing stop nutgrass in the Jax Florida area but good nut grass poison.